Storage, also known as disc space or data storage, refers to the amount of data you can have on your hosting account. When a hosting plan offers unlimited storage, there is no limit to the amount of space you can use for your website or email – but you will run into other limitations if your site become too big. The hosting plans below all provide unlimited storage from popular names in hosting. Unlimited storage, also known as unlimited disk space, allows you to add as much content and pages to your website as you wish without any extra fees from your web host provider (although it’s always a good idea to check the fine print). Unlimited storage is common among web hosts, but not universally offered. When choosing a hosting provider, you can look for providers that offer unlimited storage plans. This way you can create a website, or websites, as large as you like, with hundreds or thousands of web pages without being penalized. The amount of files and data that can be stored on a server is limited by the space available from its connected disc drives. In the case of hosting plans with unlimited space, when disc space is nearing its capacity, additional disc drives are added to the server to increase storage space. Unlimited storage may be more accurately described as unlimited storage available. While the term unlimited is true, other factors prevent you from pushing the boundaries completely, primarily bandwidth. Picture an hour glass: the sand cannot pass through to the bottom of the glass all at once because only a limited amount of sand can travel at a given moment. While you can store as many files as you want, data transfer speeds are limited – visitors will only be able to access a given amount of your site’s content at once. 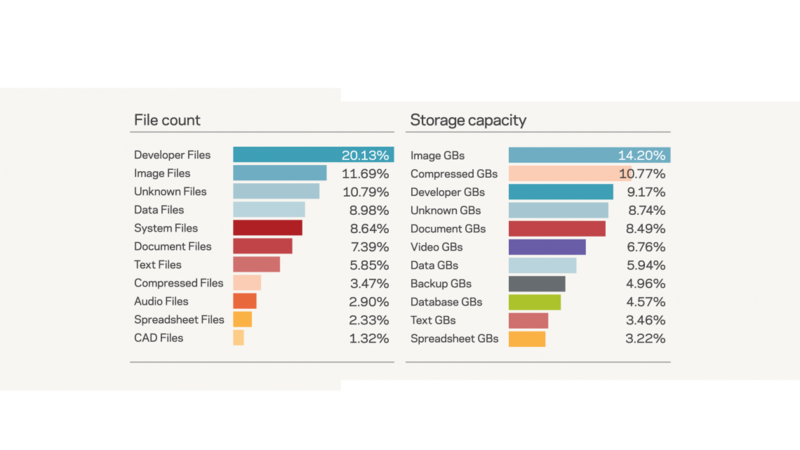 Data eating up storage space on your hosting account or server includes the obvious things like documents, images, music, and video, but it also includes less apparent things like emails, system files, and the pages of your website. How much space you need is mostly dependent on the number of pages and media on your site. Disc space is measured in megabytes (MB), gigabytes (GB), or terabytes (TB). People often ask questions like, “is 10 GB of storage space enough for my website?” Finding the accurate amount of storage you need for your website is an in-depth process, but it primarily depends on the amount of pages on your site and how big each page is. An optimized, medium-sized image for the web can be about 100 kilobytes (KB). 1000 KB is roughly 1 megabytes (MB), while 1000 MB is roughly 1 gigabyte (GB). A hosting plan with 10 GB of storage space available is enough to store roughly 100,000 images (10 x 1000 x 1000 / 100). Streaming video takes up a lot of storage and bandwidth. Fortunately, StarDot has an excellent tool for calculating your needs if you plan on streaming video on your site. What is the average page size of your website? If you’re unsure, design a typical page and measure it. You should do this for every type of page, including product pages, image galleries, marketing descriptions, etc. How many webpages will you need? The number of webpages you’ll have depends on the type of website. For example, a simple blog will likely have less than ten pages. For an eCommerce site, consider how many product pages you’ll have and the type of files that will be on each page. How many monthly visitors does your site get? As your site grows, you’ll need more space so you can add features and functionality as needed to accommodate your visitors. There’s a lot of information on the Web about storage space and how to choose the right hosting plan based on your storage needs. We’ve sorted through many of these resources to help you find accurate and reliable information so you’re not left with buyer’s remorse. Reduce Your Website’s Bandwidth and Storage Usage: If you are looking for a quick and easy solution for using big files (movie files for example) on your website without wasting your website’s bandwidth and storage, check out this link. 7 Ways To Free Up Hard Disk Space On Windows: If you’re hurting for hard drive space, these tricks should help you free up space for important files and programs by removing the unimportant junk cluttering up your hard disk. Strategies for freeing disk space: For Windows users running out of disc space, here are some great tips on freeing up some room and cleaning out unnecessary files and programs. How Much Disk Space Do I Need for My Website? : Check out this helpful article to learn more about the amount of disk space needed to run your website efficiently and effectively.